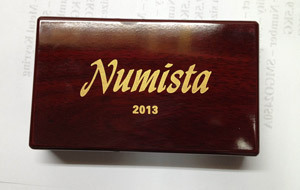 In year 2013, a token was issued to celebrate Numista website and community. This articles introduces the token and the full making process, from idea to delivery. 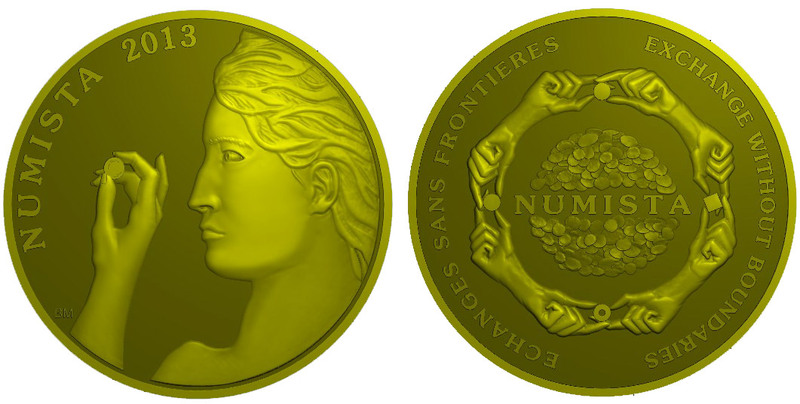 The design of the token, realised by Benjamin Mehrabian, was selected by a contest within Numista members. 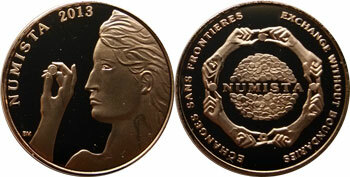 The obverse is Italian inspired with an androgynous face inspecting a coin. 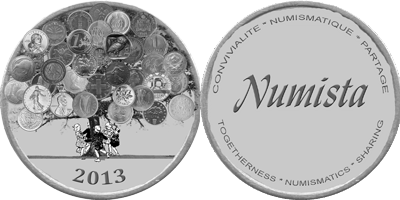 The reverse is inspired from the UK 1973 EEC coin, this time with hands exchanging different types of coins, with Numista in the centre and a non descript pile of coins. 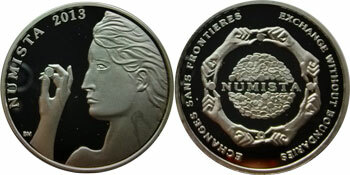 The lettering "Exchange without borders" and the French "Echanges sans frontières". The edge is smooth. The token has been issued in 2 versions: a copper token and a silver token. Previous mintage includes 60 sets containing a copper token and a silver token. 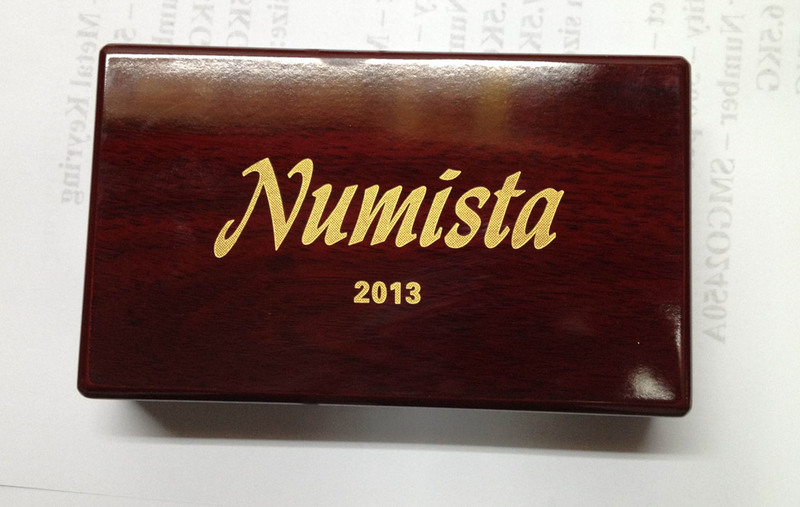 Boxes are engraved with "Numista 2013" and their size is 12 cm x 12 cm x 3 cm. 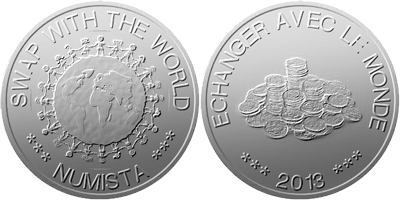 The idea of a Numista token really emerged during the summer 2013 and was announced in September 2013. 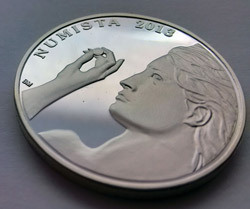 It was decided that the design of the token would be selected in a contest opened to all Numista members. The contest was officially opened on September 29th and participants had to submit their design before October 20th. 17 participants submitted a total of 22 designs: 15turtles, annozi.frizi, bam777, dptashny, Faële, Fataghost, filipe_slb, Frenchlover, guard, KAISERKILLERfr08, mucuu, ngdawa, papi, peterkhull, robert_, wam80 and Xavier. The final design was chosen by a vote opened to Numista members from October 23rd to November 3rd. During this period, 1073 members voted for their preferred design, and the design by bam777 (Benjamin Mehrabian), which got the most votes, was selected. Several mints were contacted to produce the token, including the State Mints of Baden-Wuerttemberg, International Mint, Direct Mint, Pobjoy Mint and several small Chinese factories. 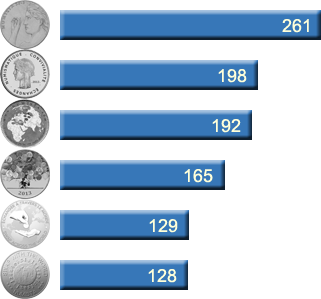 Quotes varied from 10 to 38 euros per silver token and from 1 to 7 euros for base metal, for given mintage and including tooling. In order to be the most cost effective, a Chinese factory has been selected: Pingyangxian Xuming Engraving factory (平阳县旭明徽章厂). 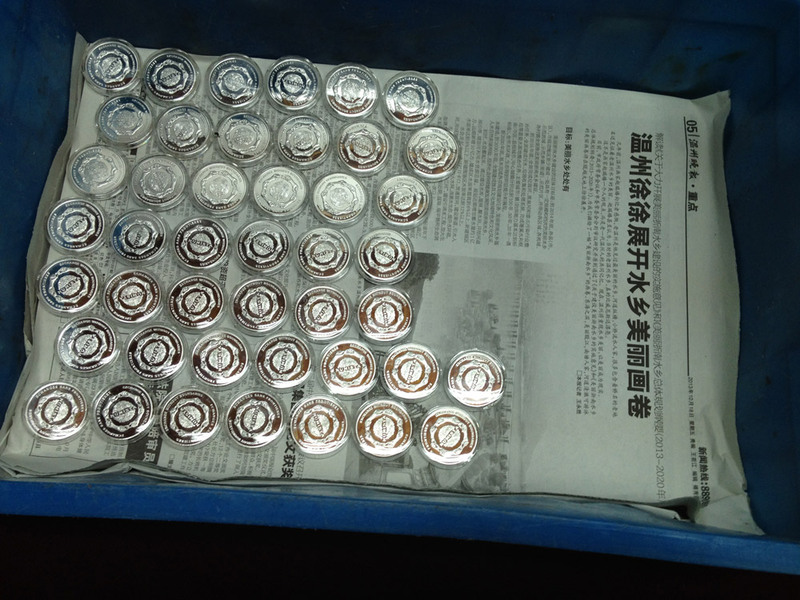 Prices were 450 yuans for the tooling (about 55 euros), 82 yuans per silver token (about 10 euros) and 6 yuans per copper token (about 0.75 euros). 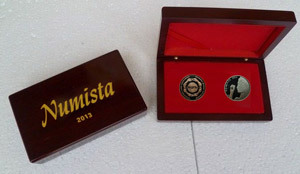 The engraved boxes for the collector sets were sub-contracted via the same factory for 15 yuans each (about 1.85 euros). When the numeric image was finalized, the die was produced, as well as 2 samples, one for each metal, received on November 12th. 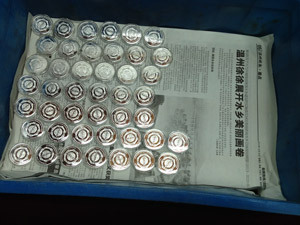 Upon approval of the samples, the rest of the tokens was produced and sent to Beijing. 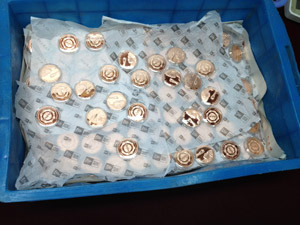 Each token was encapsulated and individually wrapped in bubble wrap. 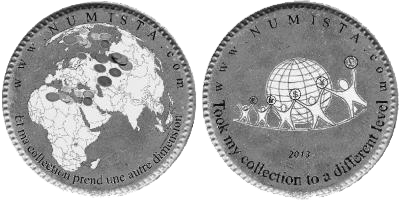 The tokens were then sent from Beijing to France and United States. They were received by dptashny, who took care of shipping to American buyers, and by monéphil, who took care of shipping to buyers in the rest of the world, with the help of al6246, corsicana, Faële and lolorose34. 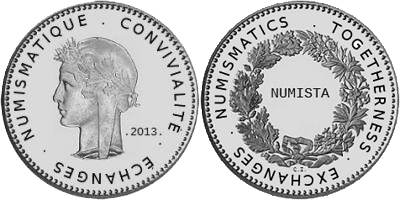 The tokens were sold on a dedicated section of Numista at following prices: EUR 1.50 or USD 2 for the copper version, EUR 12.50 or USD 17 for the silver version and EUR 21 or USD 27 for the 2-token collector set. The prices were set in order to make no profit after shipping to USA and France (respectively 620 and 2760 yuans), paying custom tax (121 euros in France) and sending free tokens to Numista team members and members who helped for shipping the tokens. Postal fees were paid in addition by buyers, depending on the country and the number of tokens. Payments were accepted via bank transfer, Paypal or checks. Because of the time for international shipping and the time to get the package from French customs, first tokens were delivered in mid-December. In a few occasions, the tokens were not received by the members or the tokens arrived in damaged condition. In such cases, new tokens were sent again for no additional fee.